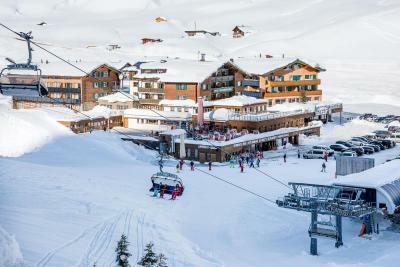 Lock in a great price for Ski- und Wanderhotel Jägeralpe – rated 9.3 by recent guests! This a perfect hotel for families. There is a dedicated children’s pool and also plenty of toys around to keep our little one busy. The dinners are great + delicious desserts. We stayed in one of the modern suites, which was beautifully decorated and plenty of space for our family. Super Lage direkt am Skilift. Tolles Frühstücksbuffet und tolles Abendmenü. Das gesamte Personal war immer aufmerksam und sehr zuvorkommend. Besser geht es nicht. Super reichhaltiges Frühstücksbuffet mit Frühstücks Ei Varianten Zubereitung aller Art! Super großes Schwimmbecken und toller Wellnessbereich! Die Zimmer sind sehr schön und neu renoviert. Es wird sehr viel im Hotel angeboten. Das Schwimmbad ist super. Die Lage des Hotels ist toll. 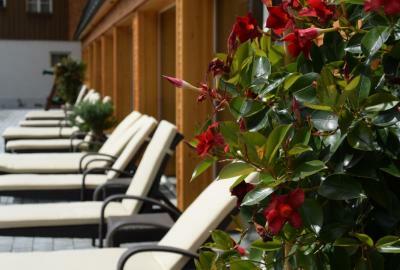 Ski- und Wanderhotel Jägeralpe This rating is a reflection of how the property compares to the industry standard when it comes to price, facilities and services available. It's based on a self-evaluation by the property. Use this rating to help choose your stay! 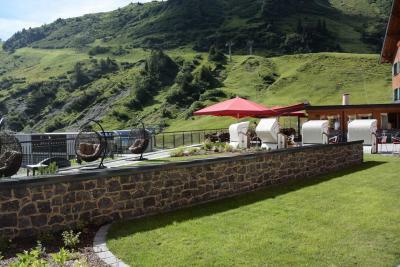 The 4-star superior Ski- und Wanderhotel Jägeralpe is right next to the Jägeralp Ski Elevator in Warth am Arlberg, in the heart of the Warth-Schröcken Ski Area. 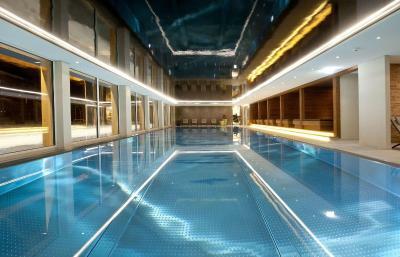 Facilities in the modern Sporthaus include an indoor lap pool (20x20 feet) and a separate children's pool, as well as a spa area with 6 different saunas and fitness and massage rooms. A kid's and youth club is also available. 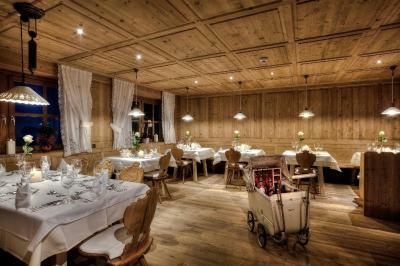 The rooms and suites at the Jägeralpe Hotel are individually furnished. Some are located in the modern sports pavilion, and some in the historic main building or the newer romantic house. A rich breakfast buffet is served in the restaurant. In the evening, the hotel serves a varying, regional and international 6-course dinner with salad and cheese buffets. 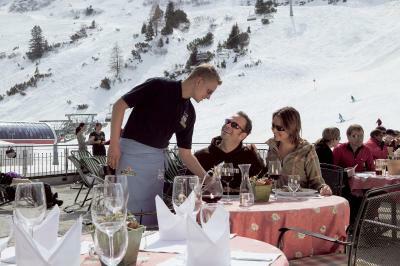 The hotel also features an à la carte restaurant and an après ski bar. 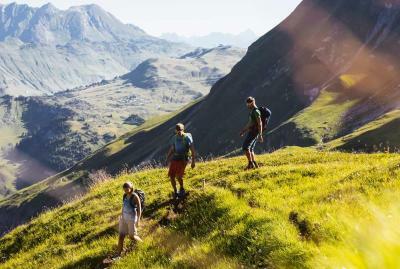 In summer guests receive the Warth Card, which provides free use of hiking buses and cable cars. 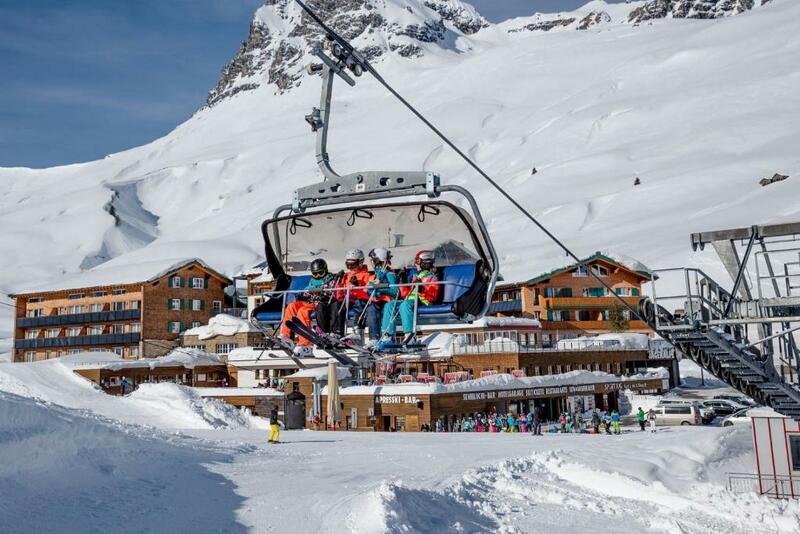 The Warth-Schröcken Ski Area offers direct access from the Lech Valley to the well-known Lech Ski Area. The Auenfeldjet Chair Elevator provides a connection by ski between the 2 ski areas. 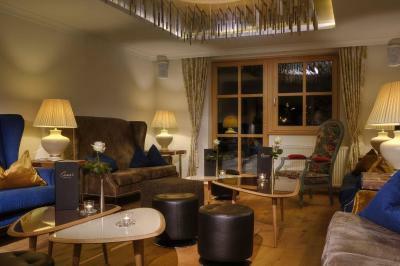 When would you like to stay at Ski- und Wanderhotel Jägeralpe? 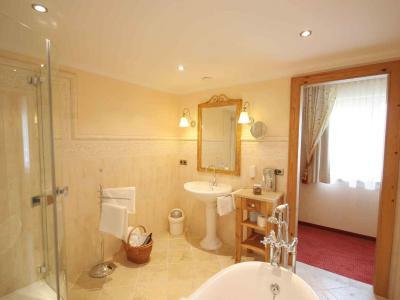 Double room with comfortable seating area, decorated in an elegant 17th-century style, with private bathroom with shower and toilet. Single room with comfortable seating area, decorated in an elegant 17th-century style, with private bathroom with shower and toilet. Spacious suite with fireplace and walk-in closet, and a balcony or terrace facing south. The bathroom with shower has a free standing bathtub and separate toilet. Pets are not permitted in these rooms. This room comes with a private bathroom. Some of the rooms feature a balcony. This room offers views of the surrounding mountains, and it comes with a sofa bed (which can be partly separated from the living area with a curtain) and with a bathroom with shower/toilet. 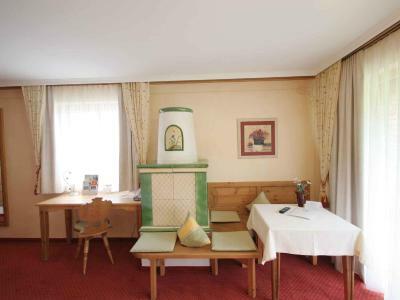 This suite is located in the Sporthaus and comes with high-quality wooden furniture, a free-standing bathtub, a bathroom with a shower and a toilet, and a walk-in wardrobe. 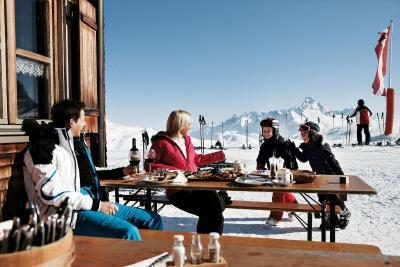 House Rules Ski- und Wanderhotel Jägeralpe takes special requests – add in the next step! Ski- und Wanderhotel Jägeralpe accepts these cards and reserves the right to temporarily hold an amount prior to arrival. Please note that the road from Lech to Warth is closed in winter. 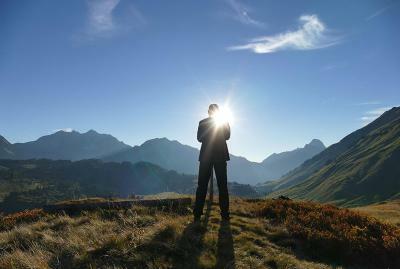 The hotel can only be reached via Reutte (B198) and the Bregenz Forest (B200). The first impression with the large parking lot in front of the hotel (used for the ski lift) took us by surprise but once inside the hotel and the staff are so nice and the newly renovated rooms are perfectly done with great views and balconies facing the mountains.